Beginner - This program is designed for players who are just starting to learn tennis. Our emphasis is placed on sound fundamentals of the game, from proper footwork and grips to stroke production and movement. Basics of match play will also be introduced. Advanced Beginner - This program is designed for the player who has some experience and completed the beginner level. This player can hit ground strokes with proper grips and stance as well as having a basic execution of volleys and serves. Our focus will be on developing reliable ground strokes, volleys and serves as well as consistency, movement and ball control. Intermediate - This program is designed for a player who has some tournament experience at the local or club level. Students will discover and develop advanced techniques and footwork skills. Live ball drills will be used with an emphasis on movement, court positioning, strategy and mental toughness. 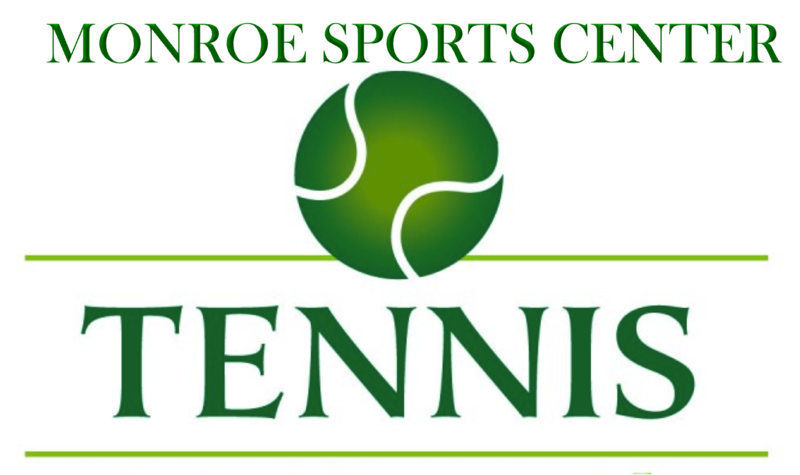 Advanced Intermediate - This program is geared towards players who have tournament experience at the USTA Middle States or Sectional level and above. Emphasis is placed on high percentage tennis and the development of an all court game using efficient and effective strokes. Students will build power and consistency, learn winning strategies and improve mental toughness. Players will be challenged through variety of advanced fast paced live ball tactical and technical drills. High School (ages 13-17) - This program is designed for the player who is currently on or is expecting to be on his or her High School Varsity or Junior Varsity Tennis team. Students will improve their strokes, footwork, physical conditioning and self-confidence in singles and doubles competition. 2.0 - This player needs on-court experience, with an emphasis on play. This player struggles to find an appropriate contact point, needs stroke development/lessons and is not yet familiar with basic positions for singles and doubles. 2.5 - This player is learning to judge where the ball is going when receiving the ball, although movement and recovery are not in sync. Can sustain a rally of slow pace with other players of similar ability and is beginning to develop strokes. This player is becoming more familiar with the basic positions for singles and doubles. This player is ready to play social matches, leagues and low-level tournaments. Potential limitations: grip weaknesses; not attempting full swing on serve; inconsistent toss on serve; limited transitions to net. 3.0 - This player is fairly consistent when hitting medium-paced shots, but is not comfortable with all strokes and lacks execution when trying for directional control, depth, pace or altering distance of shots. Most common doubles formation is one up, one back. Potential limitations: consistency when applying or handling pace; difficulty handling shots “outside of their strike zone”; can be uncomfortable at the net. 3.5 - This player has achieved improved stroke dependability with directional control on moderate shots, but still lacks depth, variety and the ability to alter distance of shots. The effective use of lobs, overheads, approach shots, and volleys is limited due to a lack of confidence. This player is more comfortable at the net, has improved court awareness, and is developing teamwork in doubles. Potential limitations or strengths: “This is the level at which it begins to be about what skills a player can display on court, not what they can’t.” Players at this level may start to utilize mental skills related to concentration, tactics and strategy. 4.0 - This player has dependable strokes, including directional control, depth and the ability to alter distance of shots on both forehand and backhand sides during moderately paced play, plus the ability to use lobs, overheads, approach shots, and volleys with more success. This player occasionally forces errors when serving. Rallies may be lost due to impatience. Teamwork in doubles is evident. Potential strengths: less likely to beat themselves; more dependable second serve; recognizes opportunities to finish points. 4.5 - This player has begun to vary the use of pace and spins, has good movement, can control distance and depth of shots, and is beginning to develop game plans according to strengths and weaknesses. This player can hit the first serve with power and accuracy and can place the second serve. This player tends to overhit on difficult shots. Aggressive net play is common in doubles. Potential strengths: points are won and lost off the serve more often; better able to cover weaknesses; beginning to develop a weapon around which their game can be built.